Currently I am continuing development of eprp based healing and anti-ageing techniques, working with doctors for its verification. Special healing methods are available at cellular level by utilising your own platelets and plasma. Just a few drops of plasma are needed working with a doctor. Now we also have a virtual eprp method available that requires no sample, The process is purely energy driven and we have video proof of the effect. Whole body healing and immune building healing. Pioneering new techniques for energised platelet healing are being developed, for collagen re-growth and rejuvenation. Now scientifically tested at a distance. New documentary segments are being compiled to show the effects at long distances to other countries. As always ordinary energy healing for positive whole body well being healing is available. Over the years I have been thoroughly scientifically tested on many occasions. Initially at the Tokyo Denki University Labs in 1994 by prof Yoshio Machi, he also tested Uri Geller there. Other testing since includes energy effects and related abilities. I like proof. The tests have included much intuitive diagnosis and healing, more recently my work has been analysed while changing the behaviour of blood platelets for E-PRP treatments. Fuji TV followed the initial testing in 1994, since then other doctors have used more sophisticated tests. The energy transfer part of trials and subsequent work in anti ageing resulted in experts describing recently the beneficial changes made to blood platelets and immune system as a form of quantum physics, as it can not otherwise be explained. Such testing is useful, if done from an open minded position. It's not a full on science yet, but its getting there. Even full on science gets overturned quite regularly nowadays once changes are impossible to refute. They are at last catching up. My international TV appearances include, Japan, USA, and UK, worldwide. This is separate to my other areas of counselling and helping the varied people who have benefited from the life guidance. I am concentrating on healing the mind body and soul more now which helps change your life and where you are going. Helping you to get the best possible results for the future. "I work as a life, health, mind, body & soul healer - . I also work extensively developing energised and healed eprp therapy in health and anti-ageing. I was developing this way back in 2001 when doctors were scared to use it openly. Now ordinary prp is the norm. But EPRP is very different and again way ahead of time. As with all my abilities I will always try from the outset to give you an honest appraisal of my assessment to be able to help you on your road to future life, to recovery of mind, body and soul, or reversing aging. Contacting me could be the beginning of you taking control of your own life, or your child’s. I can assist and guide you along the way in life health emotion and business. 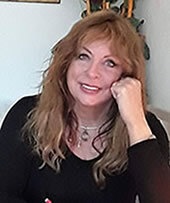 I work with many intuitive methods, often with doctors, professional and specialists, but not as a direct alternative." This was the article I wrote about you seven years ago, republished two days ago to set the stage for the second article. This is the article just published. (Dr Enrique Garcia contact details +34 675054782) Nb Video below takes you direct to youtube. Dr Christian Deperdu - Anti ageing : We have observed the changes in the blood from healing and this shows in lab tests also. The results of PRP are better with Carols input of healing and it makes a difference to the patients outcome. Dr Christian Deperdu - Burn Victim : I was surprised by how far the scaring had reduced on Birgettas leg due to the healing you have given her, both with the EPRP and without. The scaring and redness has nearly gone and it is in much better condition than we would normally expect. It was amazing because i did not expect that result. At this time it is difficult to distinguish between the burned parts of the leg and other non affected parts.'. Dr E.C. - Healing via blood with cell changes patient: (Private research patient); 'I can see the changes in the activity in the live blood (with microscope) from the result of Carol's energy healing of the samples, but all our teachings say that to influence blood this way is not possible. I have been observing the behaviour of blood now for many years and never have seen anything like this'. The unhealed sample remained the same and the healed sample shows much increased white cell and immune activity. Initially first visit, the patient could barely walk even with a stick. Following the blood healing treatment with Carol in London, the patients doctor in Bristol wrote a few weeks later to congratulate Dr C. It described how well they considered his treatments had worked and about the reductions and/or elimination of some of her obvious surface tumour growths. The lady however had no other treatment whatsoever other than the blood healing treatment during that period or a month or so before. She had been declared too weak with her chemo compromised immune system etc to take more trauma from the conventional treatments. Plus there was no stick on the second treatment visit. Please email with any request for appointments. Please also send a small 'selfie' type picture of yourself if possible. Also see appointments page and below. Sightings, Beyond chance, Unexplained mysteries, Beyond belief, Strange but True, Mysterious west, Fuji TV Japan, Scientific testing, healing, diagnosis & medical intuitive, TV Power (AshaiTV Tokyo) missing people. Plus many satellite channels..
Email or phone to book appointments, Preferably initially by email if possible. Mobile +44 7768692141 uk +34 636297872 .es Mike, co-ordinator. (Voice-mail is available on the land line) This is an internet line. The phone has a UK number and call charges are identical to calling UK and charged at normal uk rates. Please leave a message, calls will be returned as soon as it becomes possible. Note for purists. These web pages are designed using UK English, without pointing out USA alternatives..
Healing and anti-aging groups, now arranged at a distance, via video link. Group Healings, helping you to reach right brain intuitive abilities, for spiritually minded people needing answers and guidance to their own development. Nb Downloads then plays in IE11 with WMP or streams directly on demand in google chrome or firefox browsers. Carol Everett Interview Aug 2018. Three parts mp3 Format should play when clicked or right mouse to download. I am currently directing and involved in transatlantic research measuring the effect of healing at a distance. From healer to patient distances of approx 6000 miles. This has been very successful and we are producing videos of the results. Actual healing effect is being monitored using the latest medical imaging technology operated by qualified technicians in their field. Patients include joint problems, untreatable congenital heart disease, a split retina, and another case. Helping soften and loosen a breast invasion by cancerous tumour. Healing helped the tumour become detached prior to chemo resulting in shrinkage of 50% at the very first chemo session. Not a cure. (Note) I do not ever say I can cure cancer. The intention of healing is intended to help the immune system do this by itself. Healing is not ever considered a possible cure. Any such cases are monitored entirely by doctors, only a doctor is capable of diagnosis and saying if there is a cure, change, or not. Plus whether it is staying cured. Quotes from doctors and specialists, or healthcare professionals on healing and their findings where appropriate are mentioned in relation to such cases. The case material is being collated with others for an ongoing documentary.